“The Book of Proverbs for Single Moms with God as Her Husband and Father of Her Children” provides mothers guidance and love to get through tough times. “Who Will Save the Children,” Gloria Mack accepts that parenthood isn’t easy but empowers others to not give up. Being a single mother is something to be proud of, and although it requires twice the effort as compared with having a complete family with both parents, Gloria Mack provides single mothers something to ease their tired bones. 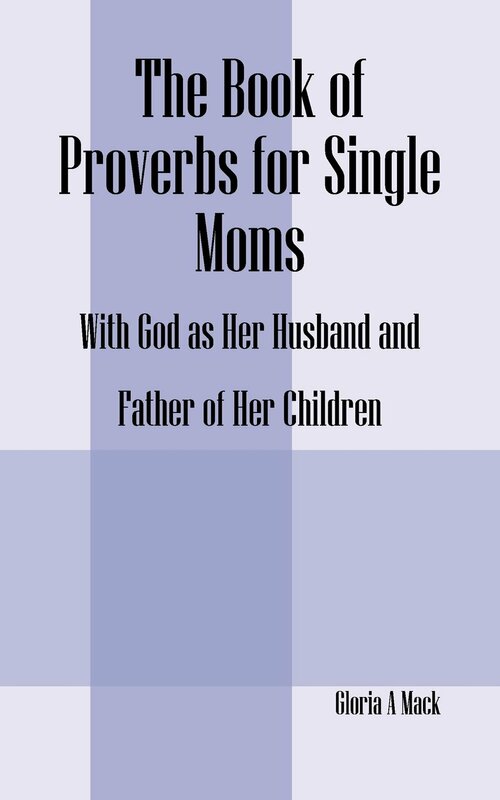 “The Book of Proverbs for Single Moms with God as Her Husband and Father of Her Children” serves as a guide for single mothers and their children. Through this book, the readers will be able to navigate their lives and bring them closer to their destiny. With the help of God as the husband and father, every child will be guided closely with salvation and a strong sense of faith. The words beautifully written by Mack will give mothers a chance to enjoy and make their lives easier as single parents. “The Book of Proverbs for Single Moms with God as Her Husband and Father of Her Children” by Gloria Mack will be available at the 2019 LA Times Festival of Books on April 13–14, 2019. Gloria Mack is not just an author but a person who shows a lot of compassion for struggling parents. She finds a way to help by writing books that can aid them in their everyday lives. Her words hold power and are focused on a spiritual aspect as she relates experiences and struggles with the plans of God.